Plummer Building, 3rd floor, Mayo Clinic, Rochester, Minn. Call 507-284-2585 or email mayohistorysocial@mayo.edu. 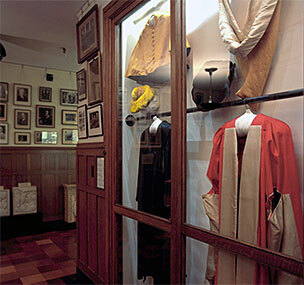 The Mayo Clinic Historical Suite displays many photographs and artifacts, including the offices that Dr. William J. (Will) Mayo and Dr. Charles H. (Charlie) Mayo used from 1928 until their deaths in 1939. Dr. Will’s office is arranged as it was when he used it. 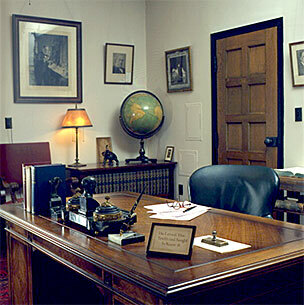 Dr. Charlie’s office was used by his son, Dr. Charles W. (Chuck) Mayo from 1939 until his retirement in 1963. Another prominent feature of the Historical Suite is the Board of Governors Room, where the senior leaders of Mayo Clinic met from 1928 to 1954. The ornately decorated room is filled with diplomas, certificates and awards presented to the Mayo brothers. The W. Bruce Fye Center for the History of Medicine serves as the official repository for historical materials related to Mayo Clinic. Staff members provide professional services such as research consultation, records-retainment consultation and assistance with historical content for publications and presentations. These services are available to Mayo Clinic employees and external scholars.